The person who is now my partner called me and asked me to pass by the first bookstore in New York to buy a copy of the magazine "The Economist". He said to me, "Go in, buy a copy for me ... enjoy yourself, relax while you’re there, grab a coffee in the bookstore and if you feel so inclined, read the seven-page report that the English wrote about our country”. It has a lot to do with the issues Brazil must address in terms of the agribusiness logistic sector. I did so. To summarize the seven pages, the British "dissected" into five parts the problems that Brazil would have to solve in order to become a real power (the famous country of the future): Education, bureaucracy, infrastructure, corruption, taxation. Nothing new there. Things that many Brazilians with a little culture and common sense already knew well before this milestone year of 2001. How come then that our leaders did not take stock of the work they needed to do? They are not ignorant. Their own interests and the complex political system is what makes them swim in calmer waters and less rough seas. But this is precisely where the storm forms. The truth is that no political party defends the necessary reduction of state government involvement and the delays in implementing reforms. The real situation is, in point of fact, that the state government faces problems to accept the market economy and wants only to print more power for itself and its wealth-destroying machine. I do not want the state telling me what to do with my life. But why then they are in power? If they cannot do it, are there others who can solve the five problems highlighted by "The Economist" in 2001? I believe that today, unfortunately, there is nobody who can. Because, if there were a school that educated Brazilians in the wisdom of how to vote, the diploma would be hanging on the wall without any positive effective. There are currently in the country no political leaders who defend and achieve what should be defended and achieved, namely, the reduction of state government involvement and more autonomy for private enterprise. Respect the state government when, as a regulator of injustice, it has good intentions, but run from it when it acts as the enforcer of free-market rules. State government interventionism, which creates opportunities for corruption is one of the great evils, but it is also a great paradox. The number of new government systems we see put in place in order to control corruption, ultimately hurts the progress of business, often punishing honesty, because there are so many rules and so much red tape that you could end up being punished and even imprisoned without having an inkling as to why. There are no clear laws. No one knows for sure what the rules of the game are. In reality, the government does not even want you to know the rules. The government wants you to be bound as if in a plaster cast or a straight jacket. 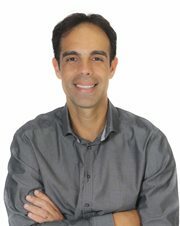 It seems that they want to stay in their homes at night asking themselves for the next day: "What do we have to do tomorrow to complicate the lives of entrepreneurs and businessmen?” In Brazil, you must kill a lion a day and leave another one tied to a tree for killing the next day. However, we must be sensitive to the fact that state government (or governments) are not the only culprits. The country's problem is cultural. And culture is different from education, although one can encourage the other. You can be cultured and civilized without much formal study. It is enough to just travel, have good experiences, watch good movies, read good books. Often 40 good movies and the same number of good books are worth more than many higher education courses. Unfortunately, few Brazilians have these engrained habits. Civilized behaviour, good citizenship, non-cognitive education, non-inversion of moral values and what is necessary to edify, is the role of the family and of the schools, but importantly should be an example set by those empowered to govern. The example must always come from the top. And as to the politicians? What would it take for them to show some degree of shame? Perhaps a belief in something higher, something supernatural, something that hints at the beginning of wisdom, which is a kind of fear, or the fear of their own conscience and the impact it will have on their children because we know that one day, sooner or later, we reap what we sow, we pay the bill. And this can tear you apart. Increasingly we are lagging behind the rest of the world, as was highlighted further with the strengthened ideology of increased protectionism based on the protection of the domestic industry. This protectionism does not help, because even with all this excessive taxation, more and more foreign markets are becoming more and more competitive and more and more we continue importing the component parts for our internal production. The government does not see, for example, that Embraer is only competitive in their aerospace business because the used parts that they import are free of duty. It is counter-intuitive. We also have problems with some parties in opposition to the government. And here the troublesome task is the communist ideology. If communist ideologies were good, Cuban athletes would not flee the Olympic villages and their teams in countries like Canada, seeking refugee status in their search for freedom and a better life and not returning to their home country. People need to thrive. It is human nature to want to be useful to society, to leave something meaningful behind, something, however, which is quite intolerable in countries whose ideologies venerate and generate "the victim of the system". These ideologies are outdated and false. "The worst evil is one to which we have become accustomed." (Jean Paul Sartre). The worst evil is to be made from sheep that cannot wander and graze. We should not want nor accept the government as a minister of penned sheep. The truth about communism and the like, according to the historical facts, i.e. the rise and fall of these régimes, shows that they pursued antiquated doctrines that only caused the reverberation of violence, authoritarianism, corruption and human misery, doctrines through which self-doubt and lack of ambition in life was seen as normal. 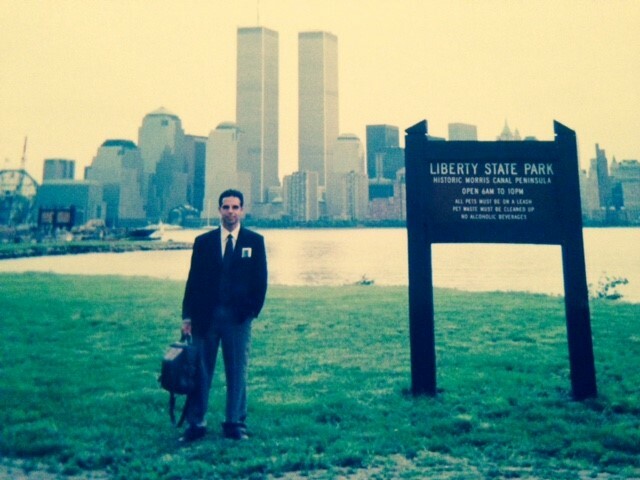 The Twin Towers, towering behind me in the photo, are long gone but have since risen again, while we are still at ‘GROUND ZERO’.